N.S.Rogers Ltd: locally owned and operated, in the same location and same family for 40 years. Noel Rogers started a trucking business after WW2, and in 1971 he reopened a closed down garage to maintain and house his trucks. Noel's 17-year-old son Jeff began his mechanical apprenticeship in 1975. The fuel brand on sale at this time was BP. By 1980 Jeff was running the garage/service station, with a staff of 7 and was specialising in tractor, sprayer and farm equipment repairs, along with general vehicle servicing, repairs, and W.O.F.s. In 2000 the fuel brand changed to Challenge. Daughter Becky joined the family business in 2007, while also working part time as a registered nurse. 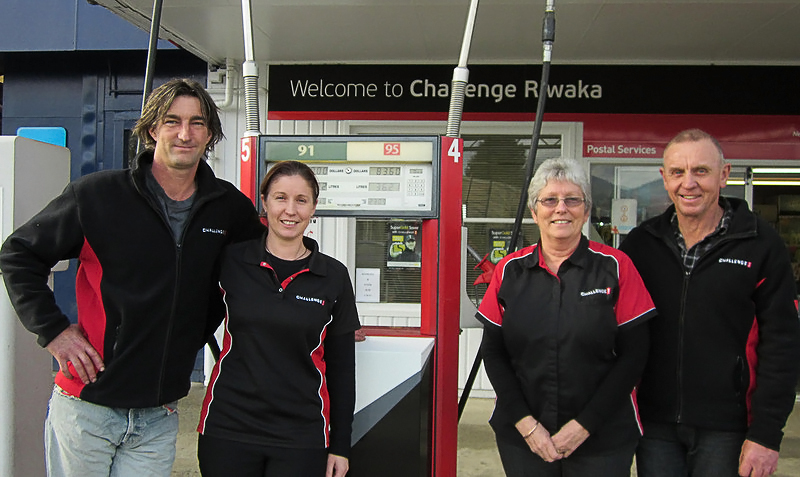 In 2014 Becky and her husband Nathan Johns took over the business, with Becky now concentrating on the management side. This change of hands has added an extra dimension to the automotive workshop, as Nathan has over 20 years of experience as a qualified Heavy Equipment Diesel Technician, with expertise in the forestry, construction, and mining industries. Becky and Nathan are also classic car enthusiasts - Nathan has already restored 3 vehicles and is currently working on another 3. Coincidently, this is creating a new customer base from fellow enthusiasts who at times need a specialist mechanic to work on their treasures.